Digital may be the norm these days, but analog remains strong where record players are concerned. This explains why turn tables still exist and vinyl records are not just part of history. In fact, it is making a huge comeback, what with a lot of people feeling nostalgic about it. Many also claimed that listening to vinyl allows them to disconnect from the digital world. So it’s not a surprise that the number of turntables on the market have significantly increased. If you have the opportunity to visit large international Hi Fi shows, you will be amazed at the hundreds of models you will see. Regardless of the variety of options, you should settle for nothing less but the best turn table. It is important to know that there are differences between turntables, some of which may be minor than others. What you should keep in mind is that record players are not created equal, and the best kind will have an advantage over those that fall into the entry-level and mid-range category. Why is it important to have the best and high-end turntable? There are many factors that affect audio output, such as the deck and vibration management. The best manufacturers take these problems into account and build a turntable that produces unrivaled music quality. The kind of quality that you can easily mistake for real voices and instruments. Instead of just listening from a vinyl, you would feel like you are right in front of an orchestra or in a theater watching the opera. The best turntable has amazing musicality, transient speed, and dynamics. The only way a turntable can produce high-grade sound quality is the careful selection of the materials used, such as superior quality acrylic. Every part that makes up the record player is also carefully chosen from the platter and main bearing to the tone arm and motor. A turn table with two plinths or platforms may be heavier, but they offer the best quality in sound and overall construction. If the main bearing, platter, cartridge, and tone arm are built into the top platform, the vibrations on the turntable are effectively isolated from any outside interference. Some manufacturers also focus on producing an optimal low-friction oil film by machining bearings and then hone them by hand. In some cases, the longer the design time the better the turn table is. Most high-end turntables are operated manually, where the needle is placed on the vinyl record manually. You could end up scratching the record if you don’t have a steady hand. But you have an automatic and semi-automatic option. Some of the best record players also offer 3 different rotational speeds, allowing you to play singles at 45 RPM, EPs at 33 RPM, and 10-inch vinyl with wider grooves at 78 RPM. Most importantly, the best turntables are expandable and/or made of parts that are upgradeable. A platter that supports additional dampening to reduce vibration. A high-quality tone arm that ensures accuracy and consistency when playing music. A stylus that will work for 1000 hours or so and is easily upgradeable. Now that you know why best is the best way to go, take a look at some of the best pick in turn tables below. It may not be exactly cheap, but it is budget friendly in the very sense of the word. That is you get what you paid for, but nothing shabby at all. For its price point, this record player connects wirelessly to speakers and other Bluetooth-enabled devices. But it does have built-in pre-amplifier that you can use if you want to switch to a wired connection. It has a die-cast aluminum platter with the anti-resonance feature, an integral dual moving magnet phono cartridge, and a stylus that you can easily replace. It is shipped with a dual RCA output cable. Now, do you see why this turntable is a budget-friendly choice? You have to admit that the features that come with this particular record player, definitely make it top of the line. Made up of premium components, it is designed to provide you with an audio output that recreates an artist’s actual performance. 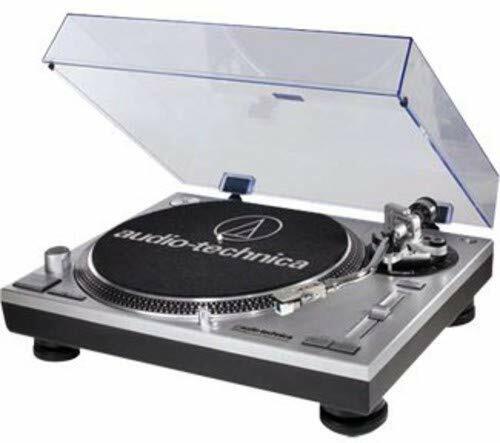 The combination of the high-performance AT95E Audio Technica cartridge and precise tracking stylus leaves little doubt that this turntable can produce high definition audio. This is further supported by the solid audio-grade (MDF) wood used with the cabinet, an aluminum platter, isolation feet, and a rubber slipmat, which all work together to eliminate any unwanted vibrations. What makes this turntable from Audio-Technica the editor’s choice is its excellent features packed into a device with a slim profile. It has an internal stereo phono preamplifier, 3 selectable rotational speeds, and an S-shaped tone arm with an adjustable height, counterweight, and anti-skate. It also comes with a USB cable that you can use to connect to your computer. 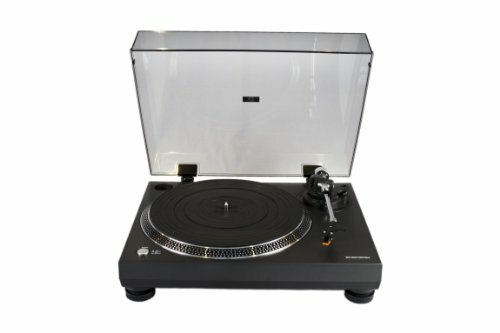 This record player is the perfect choice for someone with a shaky hand or has yet to learn how to place the needle without causing damage to the vinyl. A fully automatic operation means you just need to push a button and the tonearm will move all by itself. It supports two rotational speeds at 33 ⅓ and 45 RPM and comes with a belt drive system, built-in phono preamp, and a USB audio output. 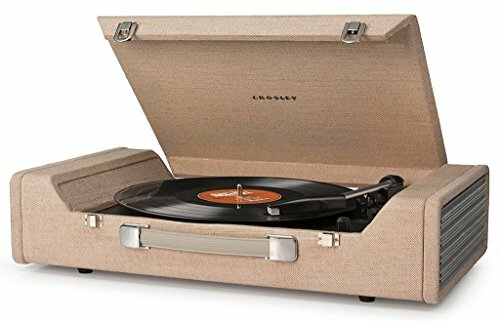 Built inside a wood style cabinet that is vinyl wrapped and comes with a chrome snap closure, you can easily pick up the Crosley CR6232A-BR and take it anywhere with you. With 3 rotational speeds of 33 1/3, 45, and 78 RPM, you don’t have to limit your choice of vinyl records. 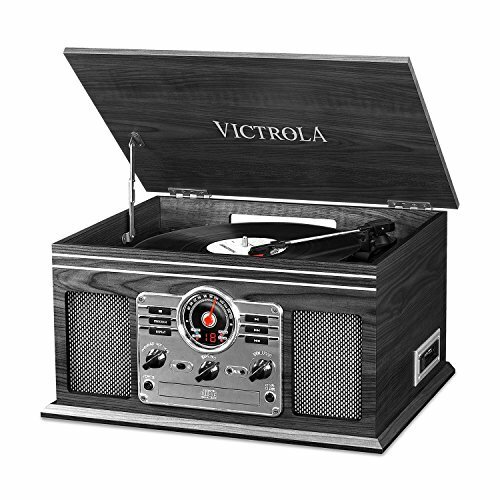 It features a belt drive system, an NP5 needle, auxiliary input, RCA output, USB connection, and a headphone jack. What is even better is that it comes with audio ripping and editing software. Although this turntable only supports two rotational speeds – 33 ⅓ and 45 RPM, it delivers high-quality sound, which is really what matters. It has a belt drive system, a balanced tone arm, magnetic cartridge, USB output for digital conversion, and auto stop feature. 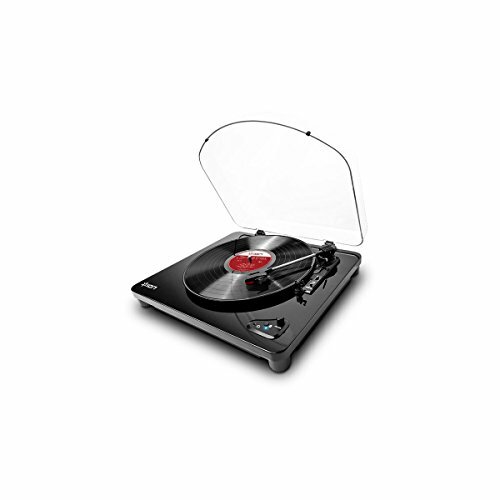 With a solid build quality and a removable dust cover, this record player is sure to last. 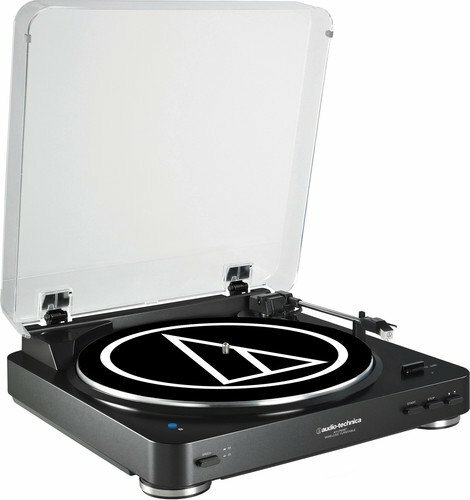 This turntable is considered the best among the portable kind, what with its clever design and is lightweight. Sporting a suitcase design and weighing less than 6 lbs., moving the party would not be a problem. It supports 3 rotational speeds and comes with an analog-to-digital converter, built-in stereo speakers, auxiliary input, RCA output, and a headphone jack. 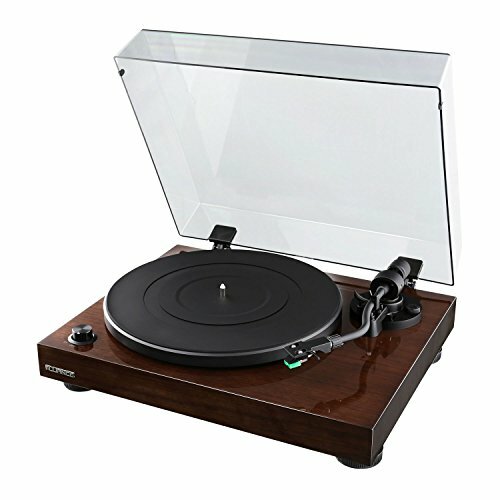 This vinyl player connects to any device that is Bluetooth-enabled and can play records of 33 1/3, 45, and 78 RPM speeds. You can connect it to a stereo system using the RCA output, and stream music from other audio sources using the ⅛-input auxiliary input. 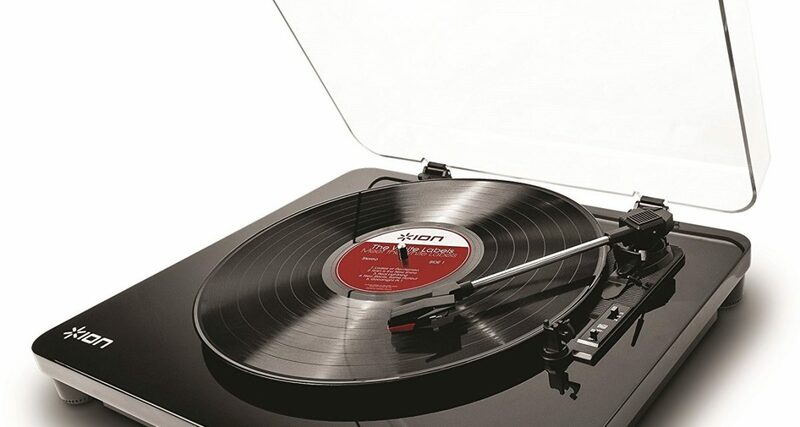 Using the software converter and USB cable, you can also use this turntable to convert vinyl records to digital files. With this record player, you get more than just a turntable because it comes with a built-in FM radio, CD player, and… wait for it …a cassette player. Yes, it gives you every reason to be nostalgic and reminisce those days where your favorite music comes from tapes. The vinyl player supports 3 rotational speeds and comes with built-in stereo speakers, auxiliary input for music streaming from any non-Bluetooth device, a headphone jack, and RCA Aux-in. Because it has built-in Bluetooth, you can connect it wirelessly to any Bluetooth-enabled device. Turn tables come in different varieties. If you stick to those categorized as the best options, you are sure to get your money’s worth. So don’t settle for anything less.